It’s less than a week until the start of the Cup of Nations so it’s time to indulge our imaginations and pit our wits against each other. There’s no Fantasy Football Scout here to help you, just unfiltered, old-school gut instinct. Register here (we used it last time around, it’s not dodgy, no one will ask you for your bank details, we promise). One team per person. Use your real name (we realise it’s tempting to call yourself Neeskens Kebano or Yaya Banana but please refrain). Deadline: 17th January 1600 BST (we will not be accepting any teams that request to join after that time). 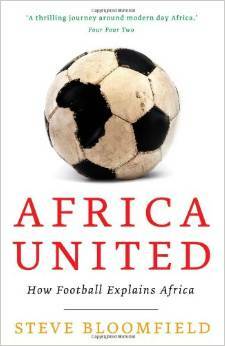 The winner will win a copy of Africa United by Steve Bloomfield, an easily digestible read on Africa football. Good luck. I hope you finish below me.